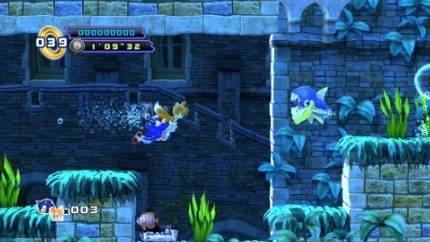 The blue blur's sidekick makes a welcome appearance in Sega's speedy sequel. There's one important parallel between the upcoming Sonic the Hedgehog 4: Episode 2 and the 1992 Genesis classic, Sonic the Hedgehog 2, that being Tails, the blue blur's loyal sidekick. Of course, it's no surprise that Sega hopes to channel some good vibes. Sonic 2 is one of the best games in the long-running series, and after fan backlash over Episode 1, a little old school magic could go a long way. With this in mind, it appears the company is on the right track to not only correct the previous title's mistakes, but also present a more compelling experience. It begins with the story, which seems a bit more in-depth. 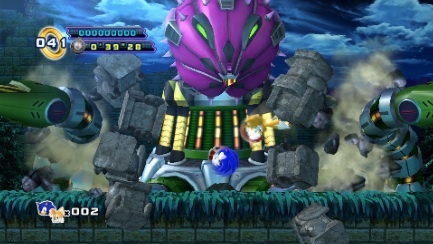 Taking place four months after Episode 1, the Little Planet from Sonic CD reappears, forcing the hedgehog to square off against Dr. Eggman's twisted creation, Metal Sonic. Not exactly deep stuff, but it's good to know Sega has plans to flesh out the narrative. In addition, the publisher says it has taken steps to improve the Episode 1 physics that the angry fan base crucified. Our time spent with the game was brief, but it appeared the character was better equipped to stop on a dime, instead of falling victim to his own momentum. As for the new content, there's Tails, who helps Sonic reach high areas thanks to his...well... tails. The twosome can also team up to create a spinning ball that races downhill and cuts through snow. On top of that, the game supports online multiplayer over Wi-Fi, just in case you have a friend interested in saving the world. As for who gets to play as Tails, that's for you to decide. 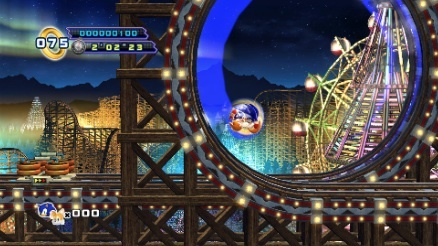 There are roughly 17 levels, and this includes four regular zones, one final zone and special stages. Boards include the medieval inspired Sylvania Castle and the winter wonderland known as White Park Zone (beware of avalanches). The best part? Levels are significantly longer. The graphics, meanwhile, look superior to Episode 1, with smoother textures, improved lighting effects and action that moves at a more consistent 30 frames per second. Keep in mind we played the game on an NVIDIA powered Tegra 3, and Sega mentioned it won't be able to replicate the same level of quality on iPhone and iPad, though with iPad 3 set to drop in a matter of days, we expect this to change. Beyond that, it's the same tried and true Sonic experience, where you collect rings, smash through obstacles and hit checkpoints. We don't know if it'll be nearly as much fun as Sonic 2, but with a May release over a month away, Sega still has time to tweak this promising platformer.